At Minnesota Law, we believe that excellence and diversity go hand-in-hand. Diversity among our students produces unique perspectives, richer thinking, and creative solutions on the path to become tomorrow’s lawyer-leaders. We are committed to supporting diverse students through a variety of scholarships, fellowships, and programs. Minnesota Law has many scholarship opportunities for incoming and returning students, which include both merit-based and endowed awards. Through supportive donors and partnerships with outside organizations, there is much funding available for diverse students attending our school. Below is a list of outside scholarship and fellowship opportunities with a diversity component. For more information, contact Minnesota Law’s Career Center at lawcareers@umn.edu. The Disability Scholarship was established in 2014 as part of the law firm’s commitment to helping students with disabilities or injuries who are in need of financial assistance for education purposes. The scholarship is available to students of any age, with any type of disability, including but not limited to physical disabilities, medical conditions, mental or psychiatric conditions, speech and language, learning disabilities, behavioral conditions, and all other conditions. The scholarship will award $1,000 to one student selected by our scholarship selection committee. Application deadline is typically around early April. As part of Cooley’s ongoing commitment to diversity, we are proud to offer Diversity Fellowships to outstanding first year law school students. Award recipients will receive a paid 1L Summer Associate position and an award of up to $30,000 to assist with law school tuition. The award will be paid in three installments: $10,000 upon completion of the 1L summer with the firm; $10,000 upon completion of the 2L summer with the firm; and the remaining $10,000 upon joining the firm as a full-time associate. Students who demonstrate a commitment to promoting diversity are encouraged to apply. Application deadline is typically around early January. Our 1L Diversity Scholarship Program is one significant way to help us advance diversity in the legal profession. We are offering four scholarships in the following offices in 2019: New York (1), Portland (1), Seattle (1), and Washington, D.C. (1). As a 1L Diversity Scholarship recipient, you will receive a paid position in our Summer Associate Program and $10,000 for your second year tuition and expenses. Application deadline is typically around early January. Dorsey’s Minneapolis and Seattle offices will select a first-year law student to receive the Dorsey Diversity Fellowship and work as a 2019 summer associate. Recipients will receive $10,000 toward law school tuition and expenses for the 2019- 2020 school year. Recipients who return to Dorsey for the summer following their second year of law school will receive an additional $10,000 for the 2020-2021 school year, and an additional $10,000 if they join the firm as an associate. Application deadline is typically around early January. The 1L Diversity Fellowship Program is comprised of four components: Each selected Fellow receives a paid summer associate position in one of Fish & Richardson’s domestic offices during the summer of 2019; mentoring throughout the academic year by members of the firm; participation in the Leadership Council on Legal Diversity 1L Scholars Program; and a scholarship reward of up to $30,000. Fish will award $5,000 to all 1L Diversity Fellowship recipients upon completion of their 1L summer clerkship with the firm; $10,000 to those returning as a 2L summer associate at Fish for the full 10 weeks of the summer program; and $15,000 to those who join the firm as an associate after law school graduation. Application deadline is typically around early January. The HCBA 1L Minority Clerkship Program first began in the fall of 2005 under the direction of the Minnesota State Bar Association. The program places first-year minority law students with Minnesota legal employers for a summer associate experience. Application deadline is typically around early December. $2,000 scholarship to provide financial support to students who contribute to the diversity of the law school student body as they pursue their legal career. Application deadline is typically around early June. To be named a Milbank 1L summer fellow, you must be in good standing at an ABA accredited law school and have successfully completed the first semester of your first year of a full-time JD program, with an expected graduation date of spring 2021. Students who are members of groups traditionally under-represented at large law firms are encouraged to apply. Application deadline is typically around early January. 10-week paid summer internship in Washington, D.C., for Native American and Alaska Native students who wish to learn more about the federal government and issues affecting Indian Country. Interns work in congressional and agency offices where they have opportunities to research legislative issues important to tribal communities, network with key public officials and tribal advocacy groups, experience an insider’s view of the federal government, and enhance their understanding of nation-building and tribal self-governance. Perkins Coie is offering a number of 1L fellowships for the summer of 2019. Application deadline is typically around early January. To sustain and grow the strength of our team, Reed Smith is committed to supporting a variety of pipeline diversity initiatives to students entering the legal profession even before they start law school, and that continues through graduation and beyond. We support diverse law students by providing the tools and opportunities to succeed in law school and in the legal profession through our participation in diversity initiatives such as those highlighted below. Sidley will award a limited number of Diversity & Inclusion Scholarships in the amount of $25,000 (less any applicable withholdings and taxes) to selected 2019 Sidley summer associates. Recipients have a demonstrated ability to contribute to the diversity of the law school, the firm, and the legal profession, as well as excellent leadership qualities and academic achievement. Students are strongly encourage to apply at their earliest convenience. We are proud to offer annual 1L Diversity Fellowships to first-year law students in many of our offices. This year, we are offering the Fellowship in our Portland, Salt Lake City and Seattle offices. Please click here for more information and to apply. Application deadline is typically around early January. For over a decade, the TCDIP 1L Rotation Clerkship has helped to launch the careers of law students of color in the Twin Cities. We strengthen the legal talent pipeline with strategic partnerships between TCDIP Members from law firms and corporate legal departments. Application deadline is typically around early January.​​​​​​ Students are strongly encourage to apply at their earliest convenience. 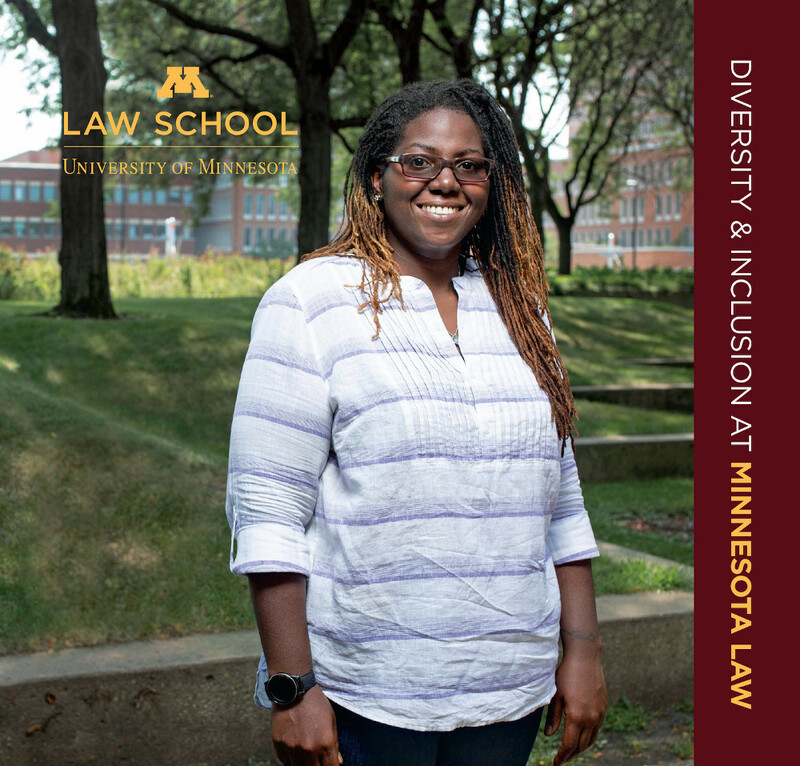 Read more about diversity and inclusion at Minnesota Law.